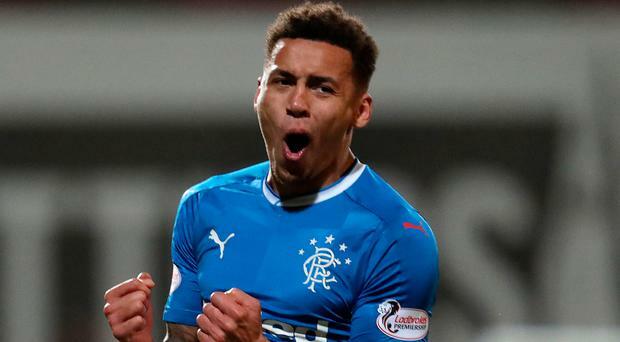 Rangers defender James Tavernier has given the Ibrox outfit a major boost after committing his future to the club for the next three-and-a-half years. The 26-year-old Englishman has arguably been boss Graeme Murty's stand-out performer this term, and the club have now acted to ward off interested suitors by tying the right-back down on an improved contract stretching to the summer of 2021. The former Newcastle and Wigan man was signed by former manager Mark Warburton for just £200,000 back in 2015 and he has gone on to rack up 126 appearances, with an impressive strike rate for a defender returning 26 goals. And, now that he has pledged himself to Rangers for the foreseeable future, Tavernier wants to set about adding his name to the Ibrox honours list. Tavernier, whose only trophy successes with the club so far are the Ladbrokes Championship and Petrofac Training Cup triumphs recorded in his first season, said: "I was in (Rangers' long-serving kitman) Jimmy Bell's kit-room and we were having a little bit of a joke and you obviously see all the pictures he's got of all the squad with the trophies. "That's what I want to be doing at Rangers. I want to be winning trophies, I want to be winning leagues and that's why I came here. I want to write the next chapter at the club. "The squad that we've got I'm really excited about. We've got good numbers in the squad, we've got great quality in the squad and the performances lately have been good. "I'm really excited for the second half of this season and the seasons to come. "I want to win the league. If we can go for the treble I want to win the treble. "I want to aim high and be playing in the Champions League, so this club has got the capability to do that. "It's got the fans behind us all the way. It's down to the players to push really hard to get to that point." Tavernier kicked his career off at St James' Park as a trainee before a series of loan spells set him off on a traipse around England's lower leagues. Having chalked up nine clubs already, though, he is eager to put down roots in Glasgow. He said: "Obviously when I first came, Mark Warburton gave me a great foundation to start my trade again and find my feet again just so I had that consistency of football. "Now I've done that it's been up and down for us but it's been a great learning curve and I feel that my best football is still to come."